Hazelnut Latte Flavour Concentrate 30ml by The Yorkshire Vaper gives the taste of a deliciously smooth and creamy Arabica coffee with rich and warm hazelnut. Hazelnut Latte Flavour Concentrate 30ml by The Yorkshire Vaper gives the taste of a deliciously smooth and creamy Arabica coffee with rich and warm hazelnut. This is perfectly brewed coffee, topped up with smooth, frothy milk. The lovely creamy taste is enhanced by the presence of the hazelnut, which adds a beautiful flavour on the exhale. 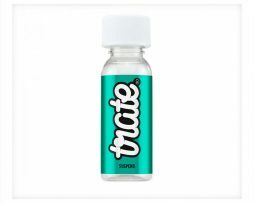 This is a wonderful concentrate, especially if you are a lover of coffee-style vapes.